Scheduling and registration info coming soon. Please subscribe to newsletter to be advised. What is the inception point? The inception point is a subtle energetic anatomical structure of the causal body. It corresponds to the choice of Source to individuate its consciousness and incarnate as YOU. It is the point of your inception as a unique soul on its journey into differentiation and home again to unity. Original cause is the deepest level of soul pain that ultimately underlies all other levels of core wounding. It is the pain of the experience of feeling separation from Source. It’s time to heal has come. What is Inception Point Balancing? The inception point carries the distortion pattern of the spiritual wounding of original cause. Using fifth dimensional energetics, the inception point is returned to its proper position and its original form and coherence is restored. The implications of this frequency shift are profound and multilayered. As an energy healer, you are aware that all subtle energy structures are subject to trauma. A chakra may be torn or imploded; a meridian may be blocked by a scar; the etheric body may carry injury imprints from other incarnations. The distortion pattern held in the inception point is uniquely specific to the trauma of original cause. The methods used to restore balance and coherence to the inception point are grounded in higher dimensional physics. The pristine vibration of a restored Inception point is propagated through the chakras, meridians and multiple layers of the energy field to recalibrate the human instrument from the level of the quantum field. Sacred geometry, crystals, plant consciousness, Galactic Mayan Cosmology, cymatics and other components, combine to anchor the Inception Point into its new center and frequency. This frequency vibrates the self-evident reality of oneness with Source. It is a homing beacon and navigational guiding system for the awakening soul on the path of self-mastery as an expression of Divine Consciousness. Understanding the context of this work.. The great cycle that concluded in 2012 represented the Great Divine Exhalation into multiplicity. A brand new cycle has begun. This new cycle has the momentum of the Great Divine Inhalation as we are all called home to our Divine Identity in Unity. Inception Point Balancing has been given to us with very specific, deliberate timing. We have the momentum of the cosmos supporting us now, in our endeavor to remember who we are as spiritual beings. Inception Point Balancing is a powerful tool for spiritual healing. Its effects percolate down through the mental, emotional, physical and energetic body levels, providing peace, the empowerment of purpose, and the calm of knowing oneness with the Divine Source Within. Each level is a two day workshop. 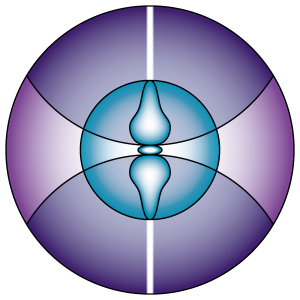 The level 2 class incorporates Sirian Sacred Circuitry, Genetic Transmigration and Embryonic Sacred Geometry. Inception Point Balancing is suitable for experienced energy healers who are firmly established on a path of personal growth and spiritual expansion. The class applies advanced esoteric concepts and principles of higher dimensional energetics. It is not suitable for beginners. Schedule and Registration info coming soon.